Later winter stands for me for spring planning. 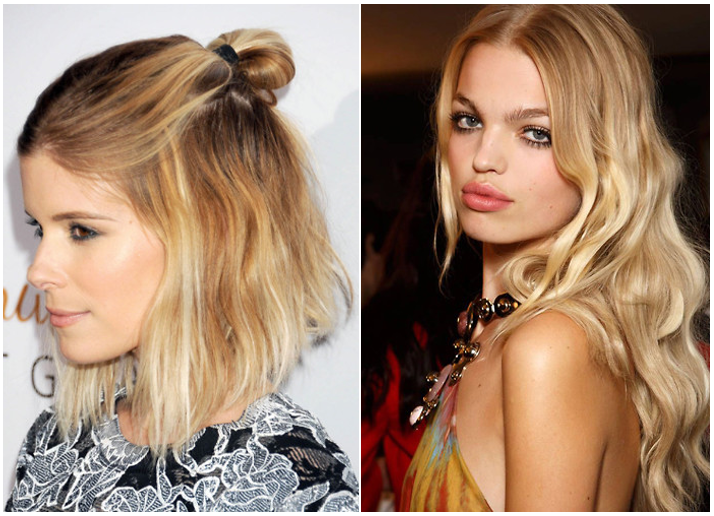 One thing everyone is thinking about is, of course, how to cut one's hair this spring. 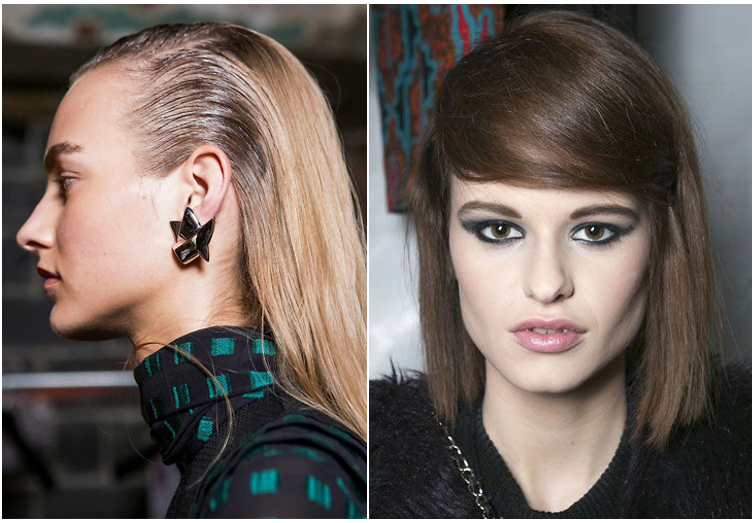 Recently I stumbled upon Swedish Modette's article on hair trends during spring 2015. 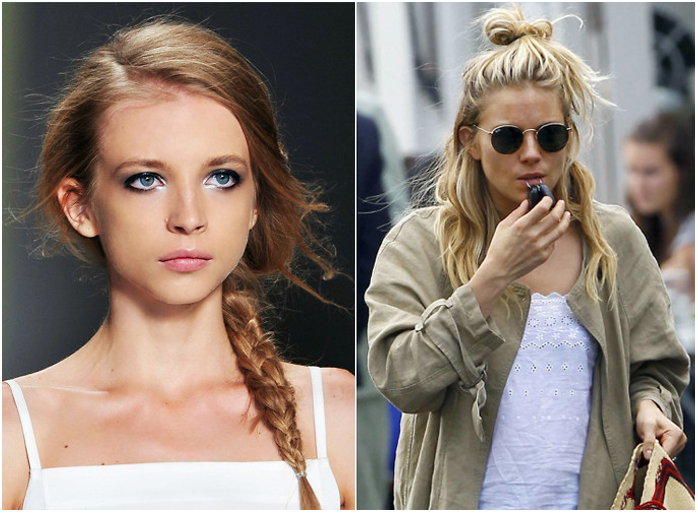 Backslicks, side fringes, messy knots, glamorous wave hair, lobs, half up hairdos and side braids - that is what spring 2015 looks like! Lopputalvi tarkoittaa minulle kevään suunnittelua. Muun muassa kevään hiustrendit ovat käyneet mielessä. Vähän aikaa sitten törmäsin ruotsalaisen Modetten artikkeliin, jossa esitelttiin näitä keväälle 2015. Backslickit, sivuotsatukat ja -letit, sotkunutturat, laineet, pitkät polkkatukat ja hiukset puoliksi auki - näistä kevät 2015 on tehty! Still remember my blog post about backslicks? Which hair looks do you like/dislike? Muistatko vielä blogikirjoitukseni backslickeistä? Mitkä hiustyylit purevat sinuun / mitkä ei? I absolutely love these! I can't wait to see them popping up over the spring months. Yeah, they are all good! I like braids, buns, wavy/curly hair, long hair and shorter hair. actually pretty much everything can be nice when it's worn right. my own hair style is usually quite messy and right now I'm enjoying my shorter hair quite a lot (no tangles, yay!). ps. I finally got your package yesterday. thank you!!! I love braids and fringes - so I will have a great winter :) The problem is that I am in a sunny place for some months :( I wonder what I had in mind when I traded my beloved winter with this! But alas, trends last a bit, I can wear them later! Good that you shared them, I will keep my eyes peeled!